If you’re like me, then you enjoy nothing more than having a cozy night in. To be honest, I’ve always been a homebody. I do love getting out, going places, and doing things. But, nothing beats a leisurely night in with my family! Our nights have become a bit of a routine, so I wanted to share my idea of the perfect night at home. I am the type of person to drink hot coffee and hot tea year round. No matter what the weather is like outside, I love a warm drink! That is especially true when it starts to get chilly outside. Now, I will say that hot chocolate with marshmallows is not a year round drink for me. That is reserved for the chilly months, because it’s so nice to curl up with a warm blanket and a mug of hot chocolate. Lately, I’ve been flipping back and forth between a few books. 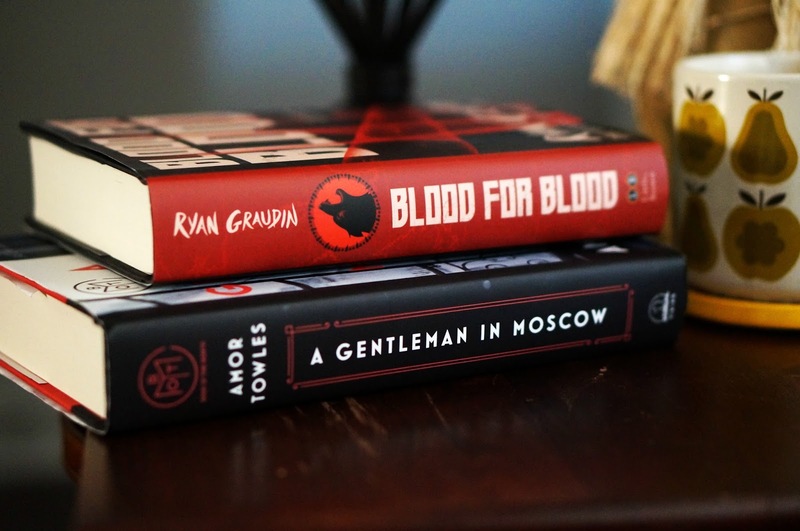 Right now on my bedside table, I have A Gentleman in Moscow and a newer release, Blood for Blood by Ryan Graudin. 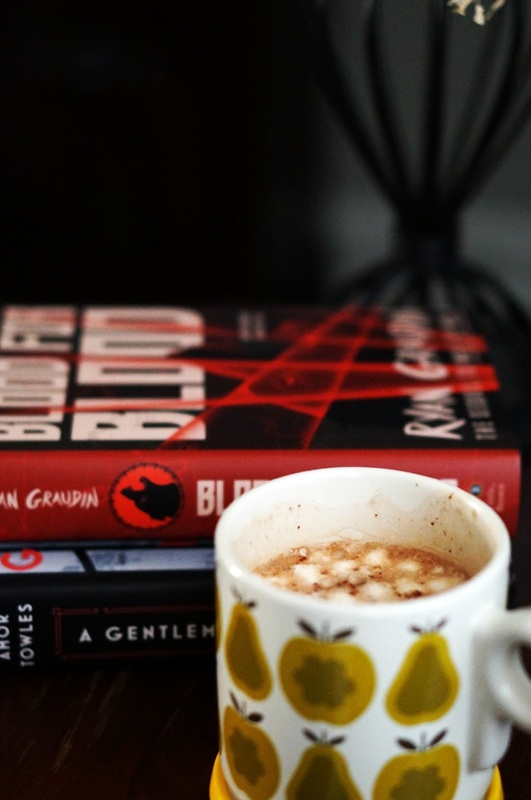 I read the prequel to Blood for Blood earlier this year, and I absolutely loved it. Hopefully the sequel will be just as good! My family and I love movies. I love to make popcorn on the stove and sit down to watch a movie with my husband and our kids. 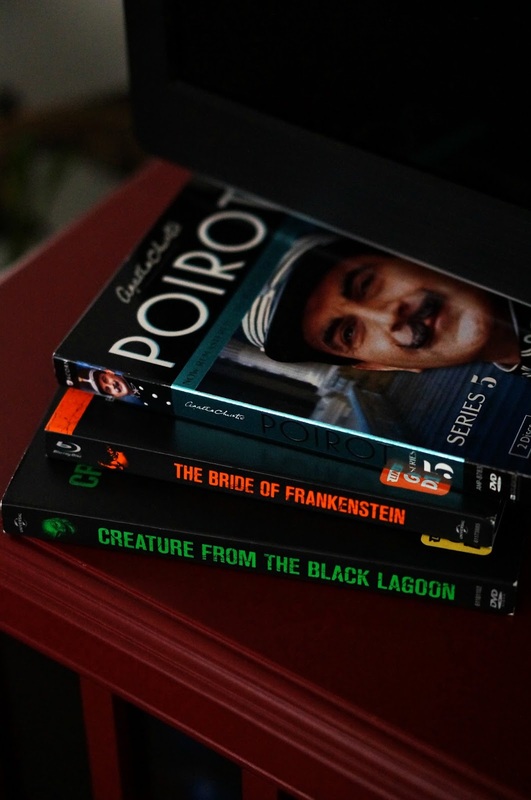 Lately, my husband and I have been watching season 5 of Poirot. If you love murder mysteries, you will love this! We are slowly making our way through the series. It has 25 seasons, so it will take us a while. During October, I made a yearly purchase … Halloween movies! I limit us to one Halloween movie a year, but this year I decided to get two. The kids loved these old black and white movies. 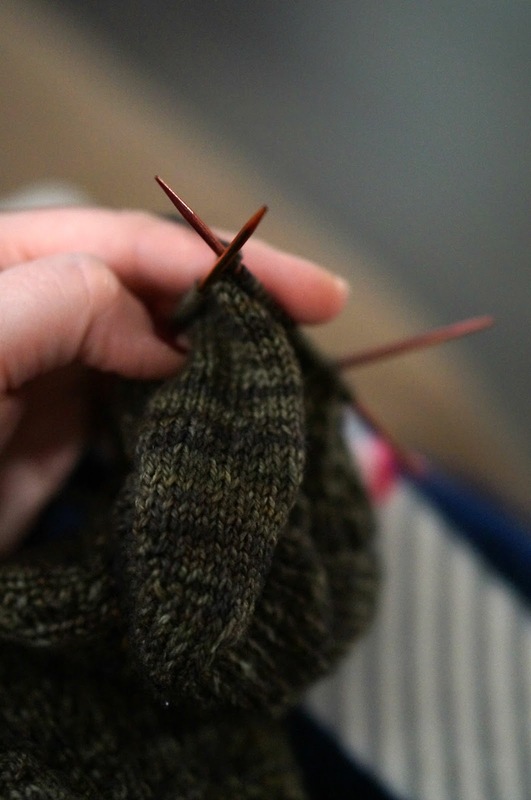 Knitting is not a frequent topic on my blog, but I do love to knit! In fact, it’s been quite a while sinceI updated my knitting blog (shame on me!). Since we’re nearing the holidays, my knitting has ramped up a bit. I love making hand knit gifts for my family. 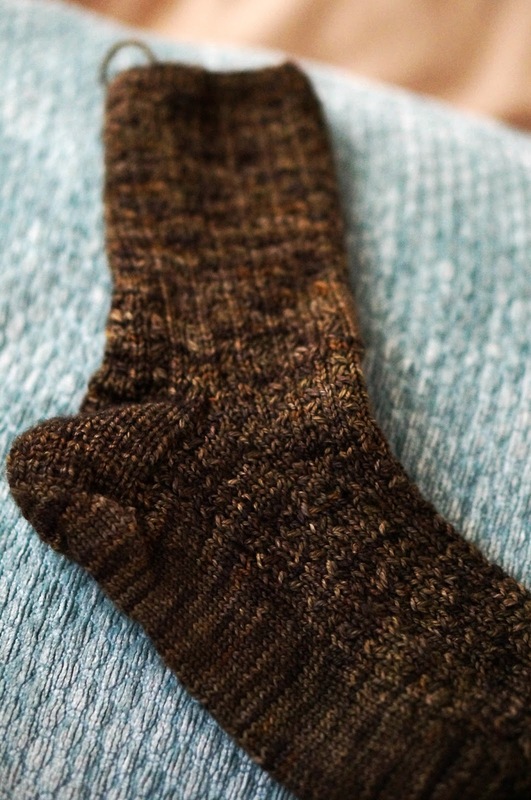 This weekend, I finished up a pair of socks for my husband. Thankfully, they fit him just right. Now he just has to feign surprise on Christmas morning! To me, the best thing about spending a night in is being relaxed. I tend to sleep much better after I’ve chilled for an hour or two before bedtime. And I sleep even better on a comfy mattress. Leesa mattresses offer so many options for ordering a mattress online. How easy is that? As we are building our house, furniture has been on my mind lately. It’s so important to have a good mattress, and Leesa mattresses are on my radar. Check out The Sweet Home’s very thorough review. I know it will be help us make a decision! How do you spend a night in? This post is not sponsored. All opinions are mine alone. Previous Post An Awesome Fall Giveaway!